Here’s what’s up in the world of TV for Tuesday, April 18. All times are Eastern. 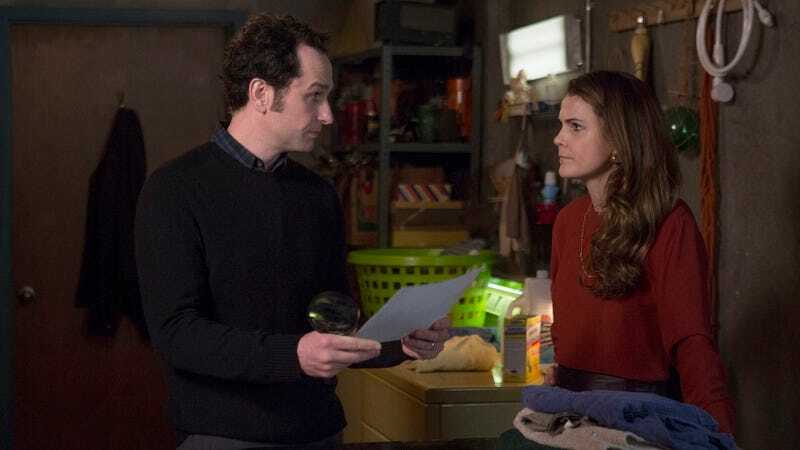 The Americans (FX, 10 p.m.): Last week’s episode of The Americans revealed that a goodbye is on the way: A supporting, but well-loved, character is going home. This week’s episode will follow up on that, as well as creating (even more) drama for poor Paige. Dennis Perkins will fill in for Erik Adams on the review front. Brooklyn Nine-Nine (Fox, 8 p.m.): Nathan Fillion is perfectly cast in a guest-star turn as a pompous actor who plays a detective on TV. Rosa and Jake will investigate some nefarious goings-on on set. LaToya Ferguson will evaluate.